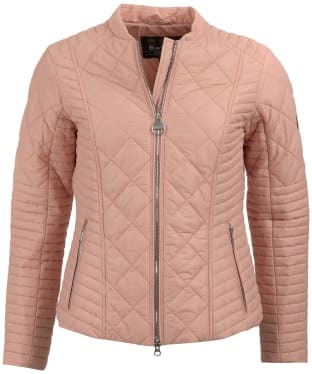 is a traditional, diamond quilted coat that includes authentic riding jacket styling, including a funnel neckline and slightly dipped, curved hem to the back. 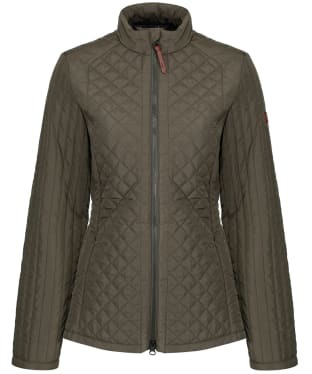 With waist adjusters to create a sleek, feminine silhouette, the Flyweight Cavalry Quilt is a lightweight version for their ever popular Polarquilt version, making it a great addition to your spring wardrobe. The Flyweight Cavalry is finished with authentic brass hardware that features Barbour branding, and two slanted pockets to the hips. 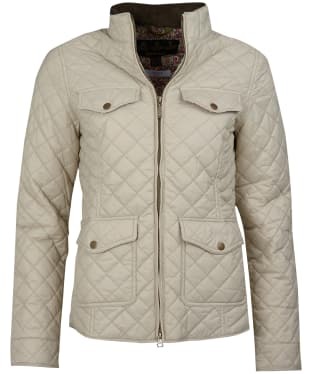 For the Polarquilt version of the Cavalry please see the Barbour Cavalry Polarquilt Jacket. 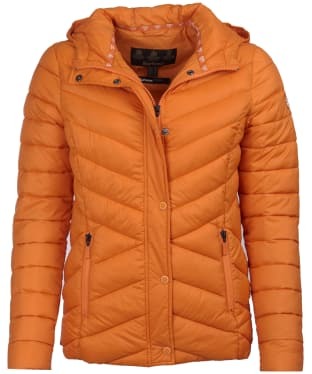 Customer feedback has suggested that this quilted jacket can run a little small. Please see the measurements tab below for individual measurements of the jackets. 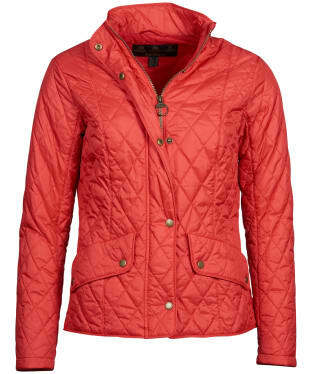 A new addition to the collection, the Women's Barbour Quail Quilted Jacket is sure to offer warmth and style to your look. 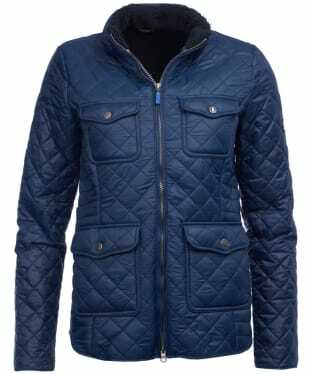 This box quilted jacket has contrasting baffle quilted sleeves for an on-trend feel, as well as a quilted half moon collar for that added touch of stylish detailing. 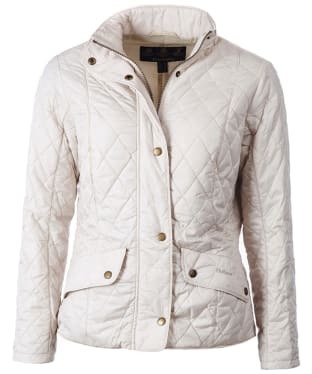 For a premium finish, the jacket boasts suedette patches to the sleeves and chest/shoulder at the front and back. 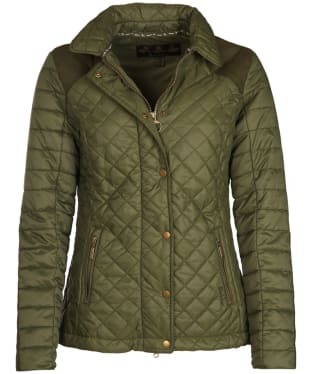 A wardrobe essential for any stylish lady, the Women's Barbour Daisyhill Quilted Jacket has been designed with a beautiful baffle quilt design, to keep you warm and cosy as well as on-trend through this season and beyond! 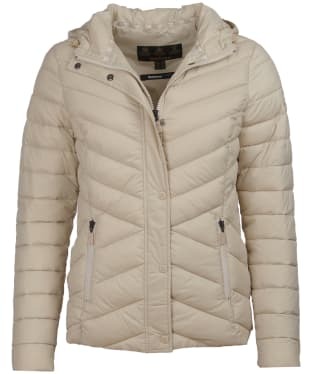 This short length jacket features zip pockets to keep your essential items safe and secure whilst you are out and about. 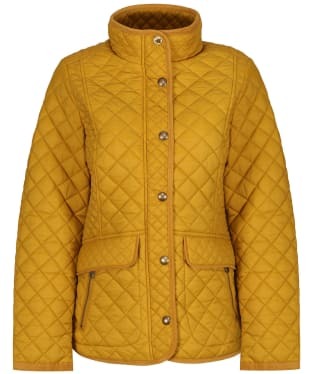 The Daisyhill is finished with seam detailing and a contrast colour lining for that added touch of style. 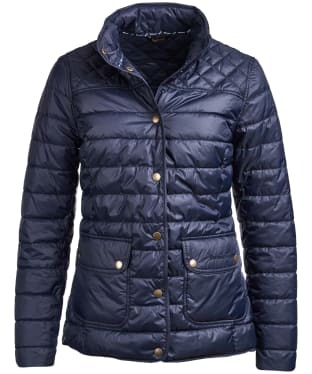 A classic style which is easy-to-wear and perfect for between seasons, the Barbour Formby Quilted Jacket features a traditional diamond quilt, with four utility style pockets to the front for added style. 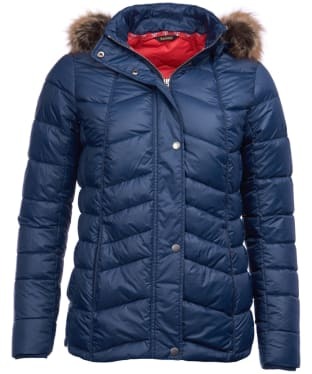 The stand collar sits just under the chin, making it great for pulling up in colder weather. 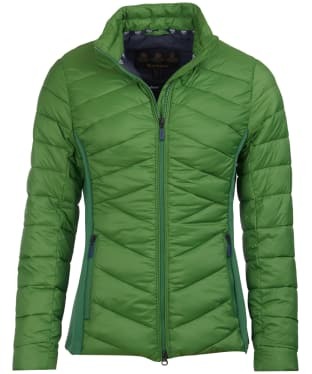 The two-way zip allows you to alter the look of the jacket, as well as access clothing underneath without removing your jacket. The multitude of pockets to the front offers ample space to keep your essentials safe and secure, and offers a casual look that you will love. 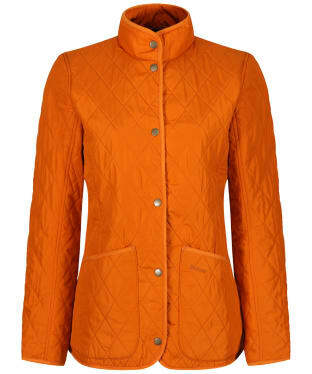 The Barbour Formby Quilt features chevron quilting to the side panels and studded side waist adjusters which can be pulled in to cut a sleek silhouette. 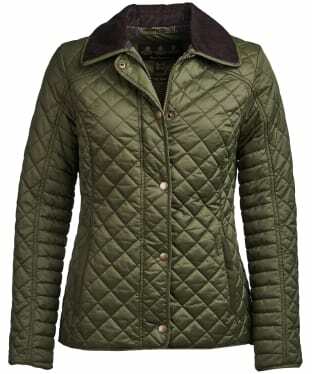 The Women's Barbour Bowfell Quilted Jacket is perfect for pairing with your favourite Barbour sweater, jeans and boots to complete your fashion forward attire with ease. 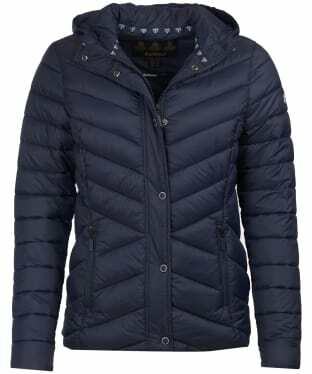 Boasting a 4 pocket design, the timeless jacket is sure to be a stylish icon making it an essential addition to your wardrobe. 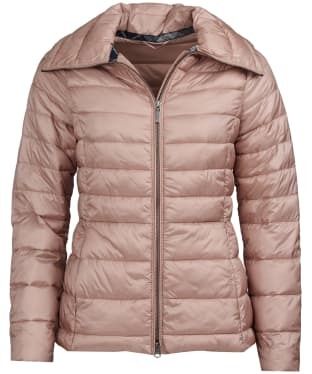 This on-trend jacket also offers the upmost practicality, with a full zip front that fastens up to a funnel neck to keep the chilly winds at bay whilst you are out and about. So that you can create a more figure flattering, feminine silhouette, this jack has tab adjusters to pull you in at the waist, or to offer a more relaxed fit on those days where more layers are required. This new Barbour piece is finished with contrast quilting to the front, and signature Barbour branding for that mark of quality excellence. 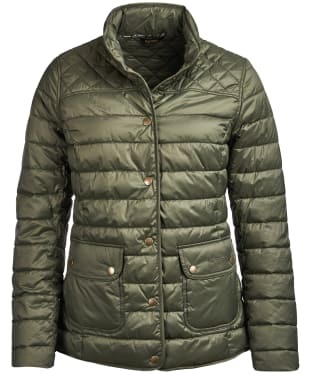 A wardrobe essential for any stylish lady, the Women's Barbour Coledale Quilted Jacket is sure to keep you cosy on those cooler days. 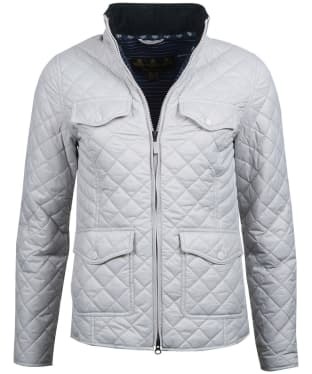 Designed with an all over baffle quilt with a diamond quilted contrasting yoke, the Coledale offers a timeless look to keep you on-trend through this season and beyond. 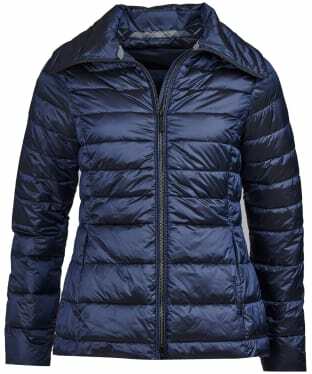 Featuring an optional funnel neckline to protect you from those chilly winds, this practical piece also boasts two front patch pockets offering ample space to store your personal essentials whilst you are out and about. The Coledale is perfect for pairing with your favourite Barbour sweater, jeans and boots to complete your fashion forward attire with ease. 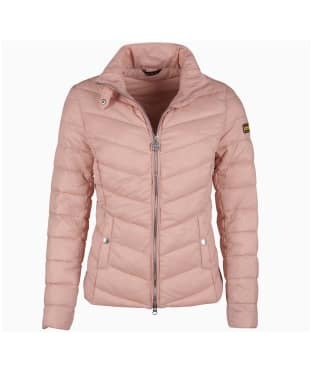 Crafted from 100% polyamide the Women's Barbour Liberty Victoria Quilted Jacket is the perfect way to layering up in style this season and beyond. 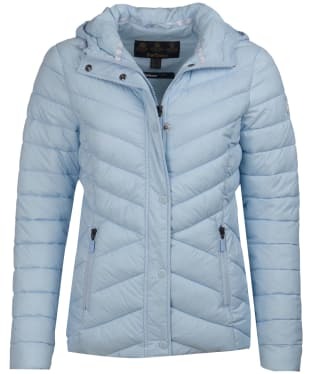 Designed in a stylish diamond quilt, the jacket also features a liberty print on the lining and cuffs which adds that splash of colour and feminine charm, and features a funnel neck with zip and stud fastening for total insulation when the cold chill arrives. 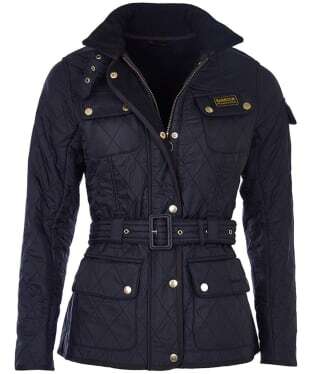 For your convenience two flap pockets have been added so you can keep your mobile phone and other essentials close to hand when out and about, and the left pocket has been embroidered with the Barbour logo for a final stamp of style and quality. 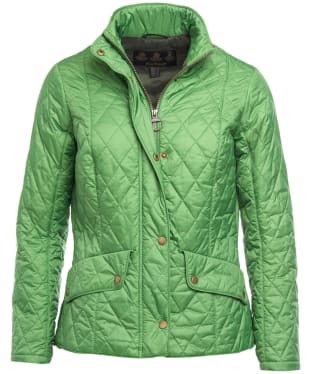 Whether heading into the town with friends or out onto a country walk, no stylish lady is complete without the Barbour Victoria Quilt. 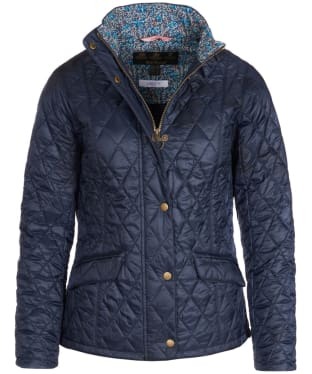 A stunning addition to the collection, the Women's Barbour Liberty Ashlynn Quilted Jacket boasts a beautiful printed lining created by Liberty London, for a premium, timeless feel that we know you will love. 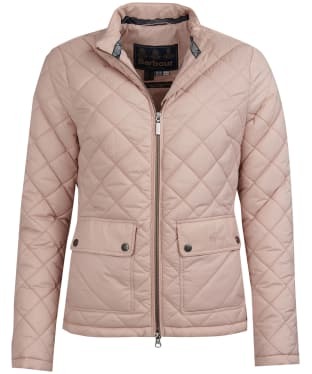 Designed with a diamond and baffle quilted outer for that iconic Barbour feel, this on-trend jacket is a wardrobe essential for any stylish lady. 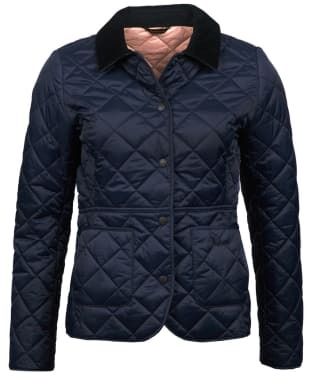 The Women's Barbour Hayeswater Quilted Jacket is a shorter-length style with a combination-quilted outer and a contrast cord collar. Cut to a roomy fit with flattering curved yoke seams, it's detailed with suede-trimmed pockets and perimeter binding for a neat finish. 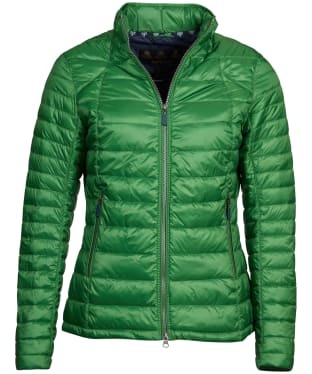 A zip-and-stud fastening through the centre front keeps cool air sealed out. 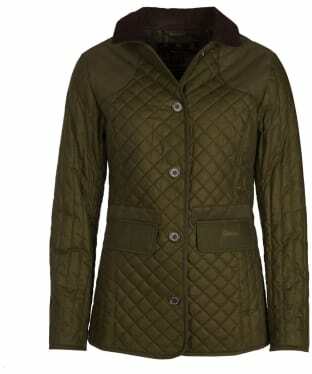 Womens Barbour Sundrum Quilt. 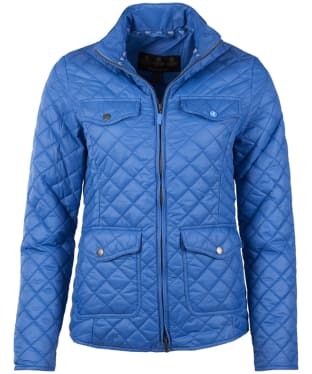 Baffle quilted jacket with exposed zip fastening. 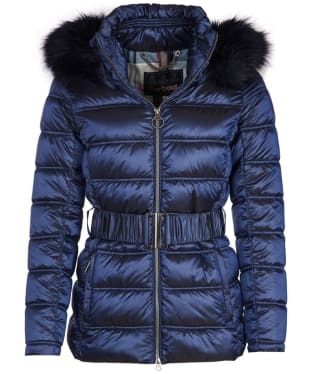 The jacket is belted and has a fixed hood with a fur trim for a premium feel, fur is detachable. 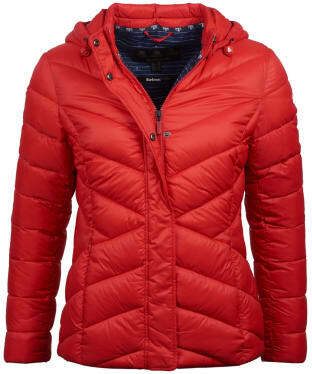 Add some warmth to your look with the Women's Aigle Mujal Quilted Jacket. 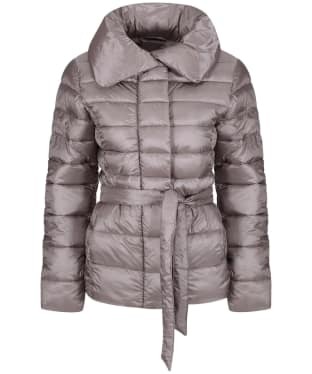 Cut to a slim fit for a contemporary look, the Mujal features diamond quilting to the front, back and sides which acts as an insulating shield on those frosty days, keeping you warm and comfortable. 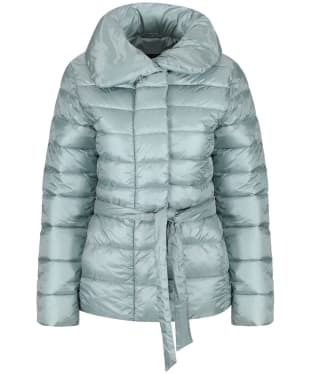 Designed for your convenience, the jacket features a lightweight ripstop lining and an elasticated waist, whilst two outer and 1 inner pockets have been added for you to store any essentials. 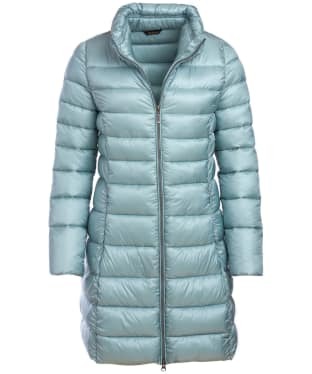 The design also features two way front zip fastening and a chin guard which allows you to totally seal out the cold from the neck down. The leather Aigle badge has been added to the left sleeve which not only completes the stylish look but gives the jacket that seal of quality. 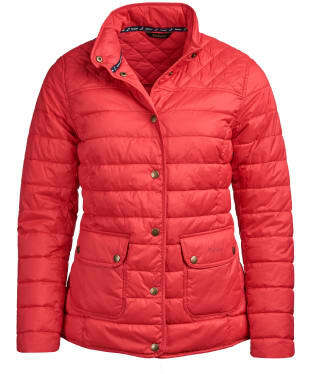 Whether you are simply out walking the dog or on a countryside adventure, the Women's Aigle Mujal Quilted Jacket offers you a practical and stylish way to fend off the freeze season after season. 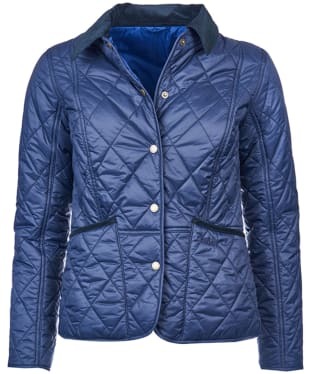 A new addition to the collection, the Women's Barbour Applecross Quilted Jacket is a wardrobe essential for any stylish lady. 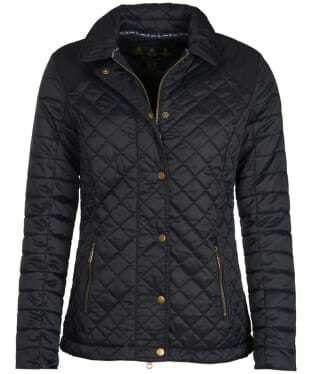 Perfect for taking you from the country into town with ease, this on-trend jacket boasts a quilted design, with the ribbed collar and cuffs offering a neat finish. 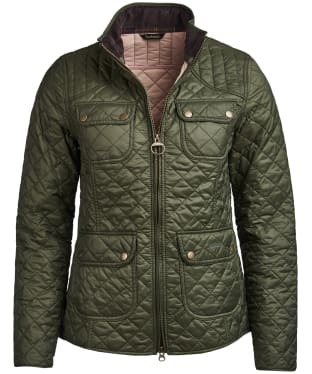 A stylish piece perfect for the new season, the Women's Barbour Drovers Quilted Jacket boasts a baffle quilted design to keep you looking on-trend through this season and beyond. 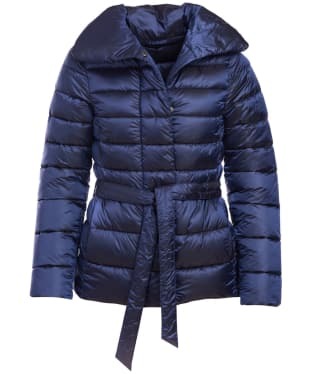 The large fold over collar adds a fashion forward feel, as well as offering protection from the blustery winds on those chillier days. 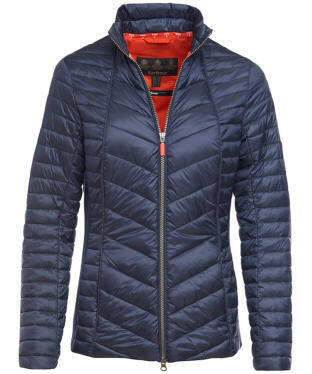 Chic yet highly practical, the Drovers quilt features a full front zip fasten to offer extra warmth, along with two zip fasten pockets to the front that provide the ideal space to store your personal essentials whilst you are out and about. 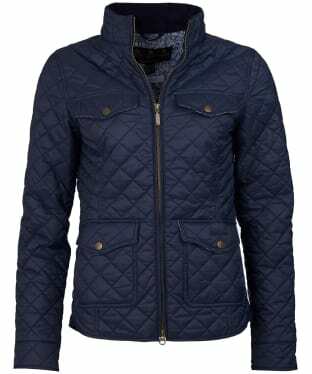 Perfect for placing over your favourite Barbour sweater to complete your layered look with ease, this jacket is finished with Barbour tartan trimming to the lining, and signature branding to the outer for that final mark of quality excellence. 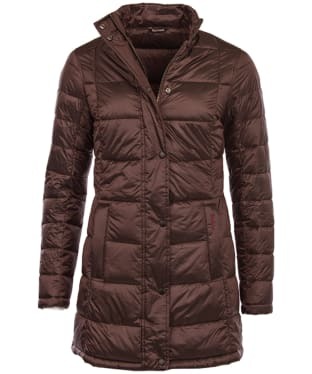 No stylish lady's wardrobe should be complete without the Women's Barbour Lorne Quilted Jacket. 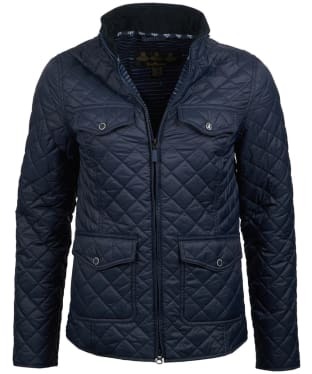 Cut to a shorter length for flattering feel, the Lorne has been designed with an all over diamond quilt for that iconic Barbour look that we all know and love. 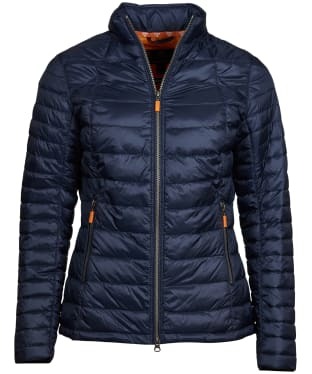 Perfect for whether you are heading into the country for a walk or simply into town for a spot of shopping, this jacket has a full front zip that fastens up to a stand collar to keep those chilly winds at bay. 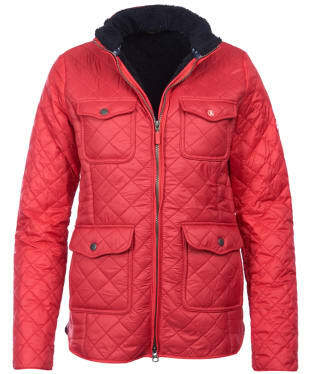 Fashion forward yet practical, this jacket also boasts signature Tartan collection pockets, meaning that there is place for you to store your essential items, as well as side handwarmer pockets to keep you cosy. 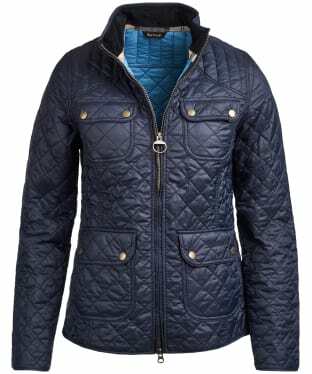 This on-trend jacket is finished with Barbour branding for that added mark of quality excellence. 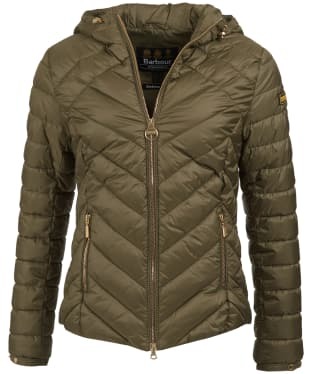 The Women's Barbour Bernera Quilted Jacket is the perfect way to layer up in style this season, and still keep your on trend casual look. 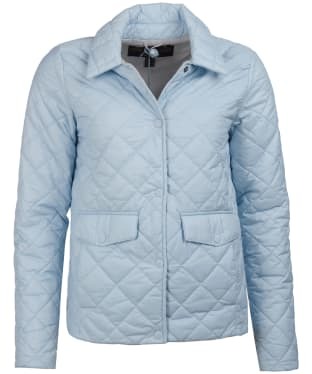 The Bernera Quilt features a stylish contrasting quilt, with chevron quilting down the middle and flattering baffle quilting to the sides, which looks super smart and also provides you with warmth and protection when there's a chill present. 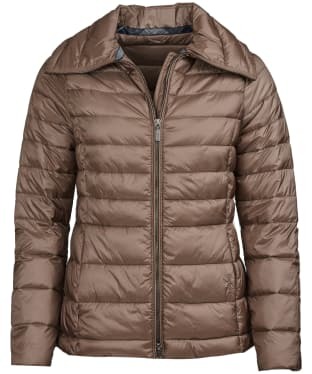 The Bernera also boasts a detachable fur trimmed hood, which offers you a solution when the heavens open on your outdoor adventure, whilst also giving you the versatility to adapt the jacket when the warmer days arrive. 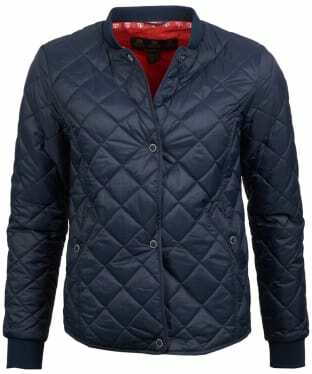 The Barbour Beacon badge has also been added to the left sleeve for that final touch of style and quality.